The minute you see the photo above, you may have wondered why I used this image today. Yes, it's a lobby and not a home. But the design process to arrive to this special installation day is the same, whether for residential or commercial design. The process starts with gathering information as I discussed in the last blog post. We discuss how a room is used or will be used. What do you like or dislike when you think of the room as it is now. And, what changes in the room would make you happy. For instance, our design committee at Renaissance discussed the dissatisfaction with the old layout of the room. We discussed how much seating should be included (as well as a change in color scheme). Once I had the basic information on the flow (or access from one area to the next) and the need for ample seating, I measured and then created the floorplan you see below. 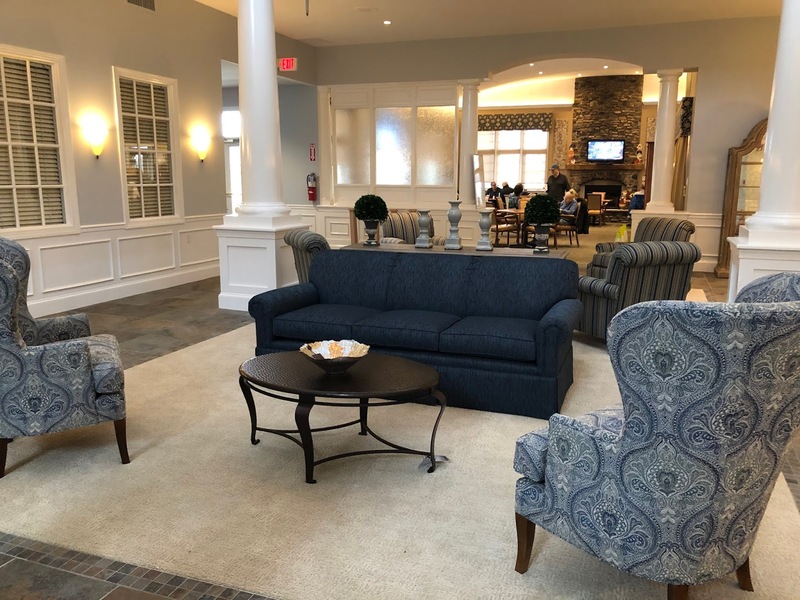 We expanded the carpeted area to the rear of the room and shortened the carpeted area in the front of the Lobby. This created a more open feel and direct access from one hallway to the other. The intent of the space is to add seating arranged for conversation. However, the space is not meant for lengthy meetings, so we left out the use of side tables next to the sofa and armchairs. The result is a more updated, open and airy lobby that is a great departure from the former layout. Yes, floorplans are helpful. 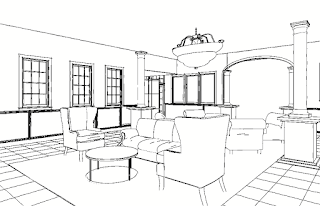 But sometimes a 3D drawing gives our clients an image they can understand. 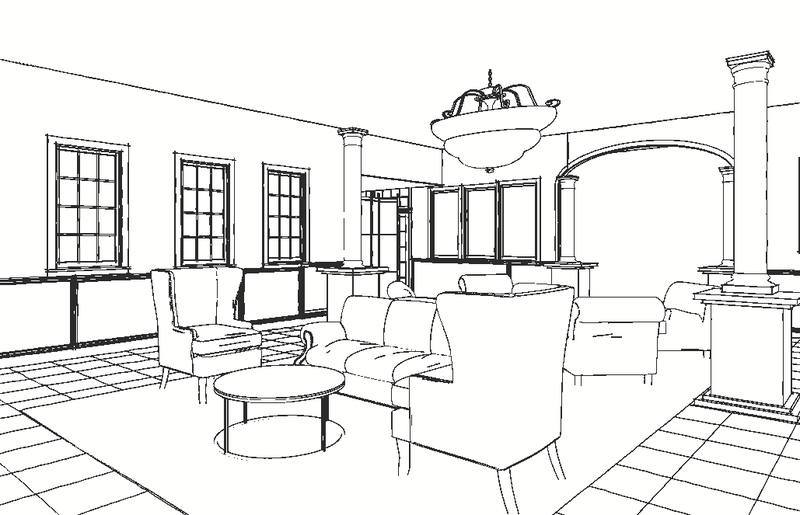 This drawing shows the highback wing chairs that work beautifully in a room with a high ceiling. Also, it's more interesting to vary the heights of sofas or chairs. We stayed on course with the committees' request to keep the traffic flow around the seating area and within the seating area easy for residents to use. So now you know this designer's secret to successful projects - start with information gathering and design spaces that are comfortable to use for all. From new construction, renovations and room refreshing, we work a plan and plan your design around your life, your family and your budget. 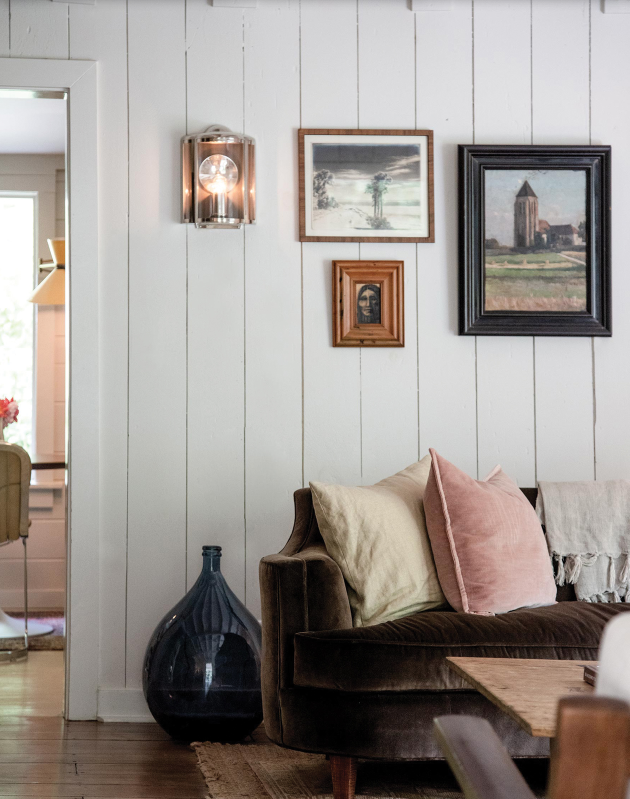 Did you look at the photo above and immediately start to think about your own living room or family room? Maybe the paneled wall attracted you or the amazing wall sconce. Perhaps the throw pillows are something you've been meaning to add to your sofa. All those thoughts are so important. You see, you need to have a vision first, if you want to achieve anything in life or in designing your home. As I mentioned in the last blog post : I always ask my clients - "How do you want to use the room or space (indoors or outside)? Do you need more seating, less seating, more space for entertaining perhaps?" Simply put - it's function first. Yes, I know you have numerous Pinterest Boards (as I do). 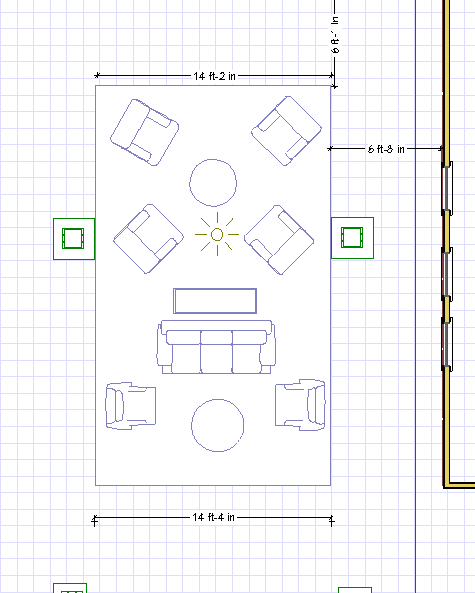 But, before we get excited about that sofa or dining room table, let me hear from you how you use the room now and/or how you'd really like to use the room. In our home over the last ten years, I've asked myself that same question - How do we want to use the room now? We had a Living Room and a Family Room. But since the family is all grown up, did we really need two rooms for seating? 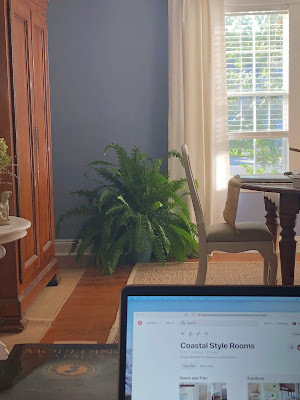 Perhaps the former Dining Room would serve better as my home office and perhaps the former Living Room would allow more seating for our Dining Room table. Let's start the design journey with questions. Let's be open to ideas that you would never imagine before. What area of your home could be reimagined into the most wonderful space you never imagined before?